Abstract: If the issue of prisoners of war has given rise to numerous studies in recent years, nevertheless, this topic is far from exhausted. Built on a large corpus of archival sources, this study fuels the debate on ransoms and prisoners with new material. Its originality lies in its broad chronological framework, i.e. the duration of the Hundred Years War, as well as its perspective – that of lower ranking as well as higher-ranking prisoners on both side of the Channel. What does it mean for those men to live in the once coined ‘golden age of private ransoms’? My investigations hinge around three different themes: the status of prisoners of war, the ransoming process and the networks of assistance. 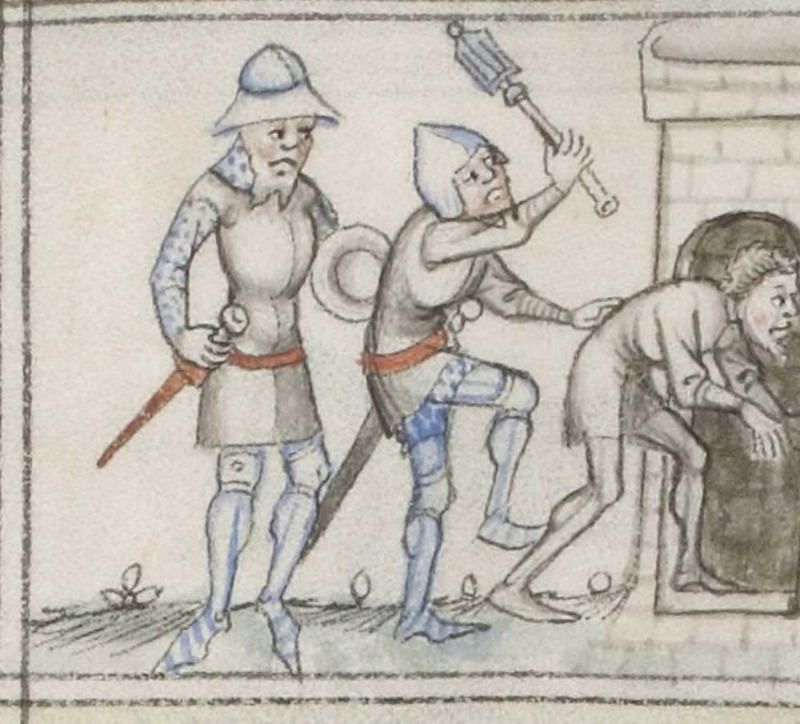 I argue that the widespread practice of ransoming becomes increasingly systematic in the late Middle Ages. More importantly, I show how this evolution comes ‘from below’; from the individual masters and prisoners who faced the multiple obstacles raised by the lack of official structure. Indeed, the ransoming of prisoners remained the preserve of private individuals throughout the war and no sovereign could afford that this became otherwise. It is specifically the non-interventionism of the crown and the large freedom of action of individuals which shaped the ransom system. The issue of prisoners of war in the Hundred Years War stretches far beyond a strict military framework. The most obvious reason for this is probably that, excluding the brief attempt of Charles V, there was no permanent army until the very end of the conflict when Charles VII reformed the organisation of the French armies.1 The whole of society was thus involved in the war effort for most of the century long conflict. Unlike earlier times, non-nobles enrolled in the armies in great numbers at this period. This extensive militarization of society was not devoid of consequences for the issue of prisoners of war. The line separating the combatant from the non-combatant, or the prisoner of war from the criminal, was sometimes blurred, especially at the lower levels of the hierarchy. In theory, however, contemporaries acknowledged the particularity of the status of prisoner of war; it protected the life of the captive and the payment of a ransom was the expected way to regain freedom. The private nature of this business is another main reason why the issue of prisoners of war is not strictly a military matter. Indeed, as there was no official structure which dealt with ransoming at that time, it was down to the prisoner to find his way out of prison and most of the time this required the assistance of all his contacts – first and foremost, his friends and relatives.